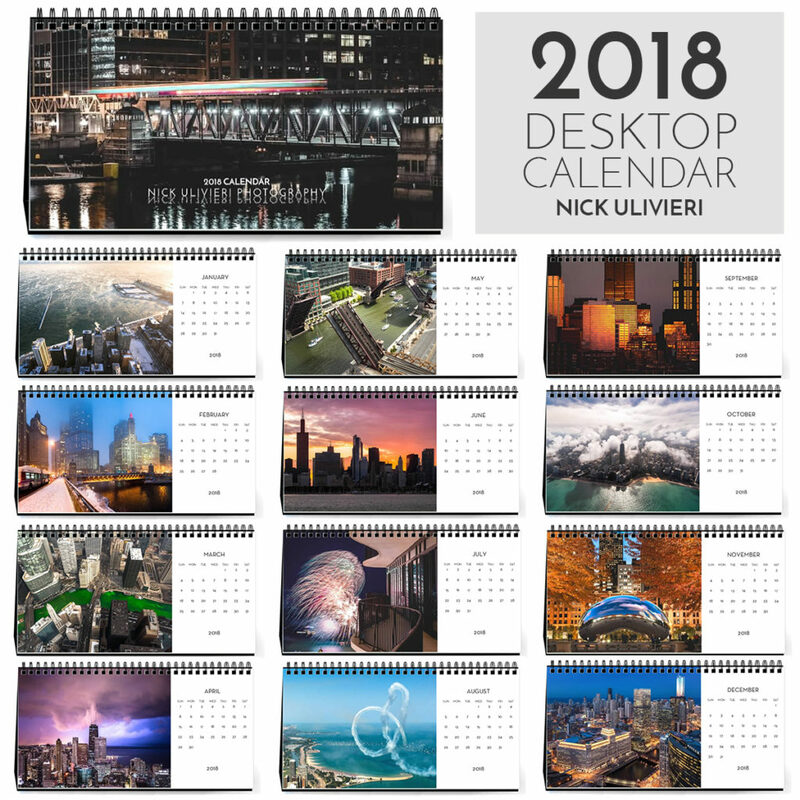 My 2018 calendar if full of Chicago cityscapes taken throughout the year. If you got your hands on a calendar, and are here to learn more about the photos – thanks for stopping by! If you still need to purchase one, get it HERE. JANUARY: Call me crazy, but there’s a special place in my heart for frigid weather. 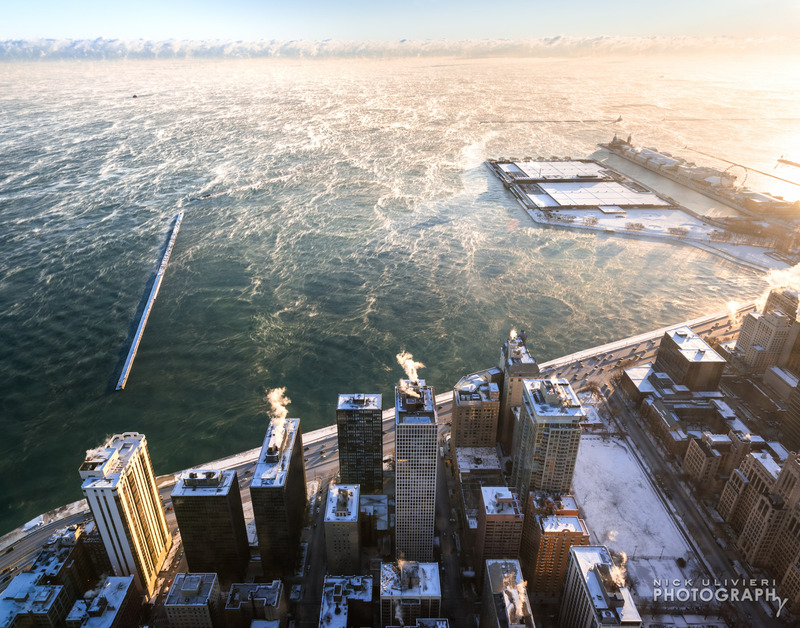 I photographed this scene from 360 CHICAGO this past winter on a sub-zero morning. Lake Michigan had not yet frozen over so the relatively warm water exposed to the bone-chilling temps formed a massive blanket of steam known as ‘sea smoke’. 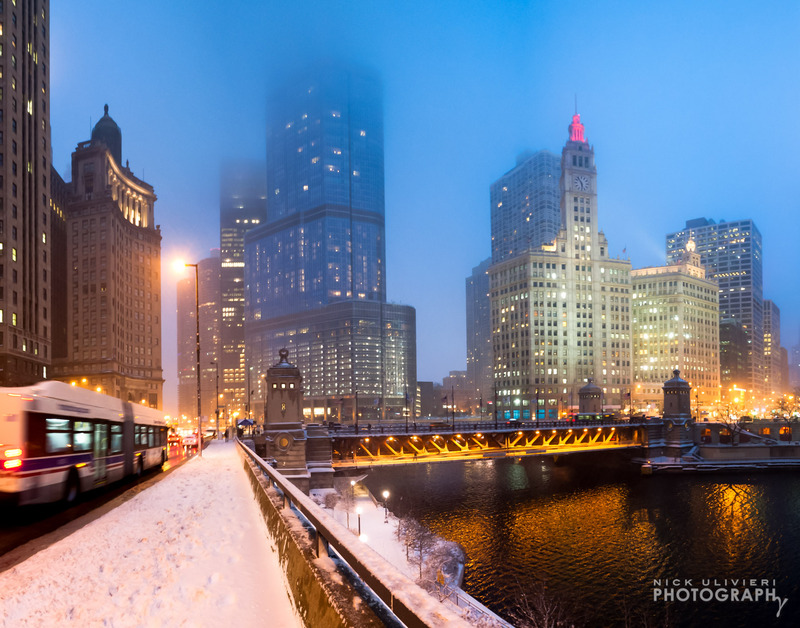 FEBRUARY: What’s a winter in Chicago without a dreary, yet beautifully moody February evening? I captured this shot from upper Wacker Drive. 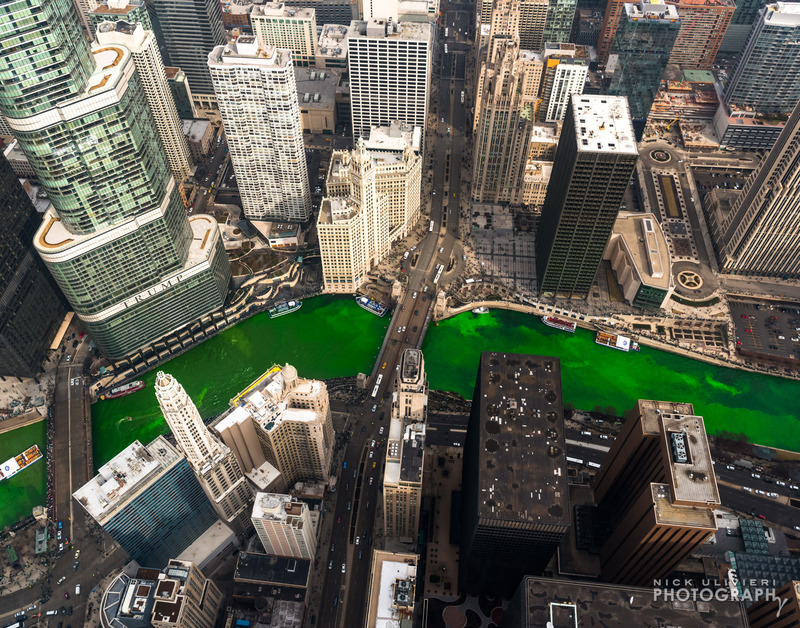 MARCH: I’ve photographed Chicago’s St. Patrick’s Day river dyeing celebration from the ground many times, but wanted to try something different. In order to get this elevated view, I hopped a helicopter flight with my friends at Rotorzen out at the Vertiport. APRIL: By the time April rolls around, I’m over the snow and ready for summer thunderstorm season. 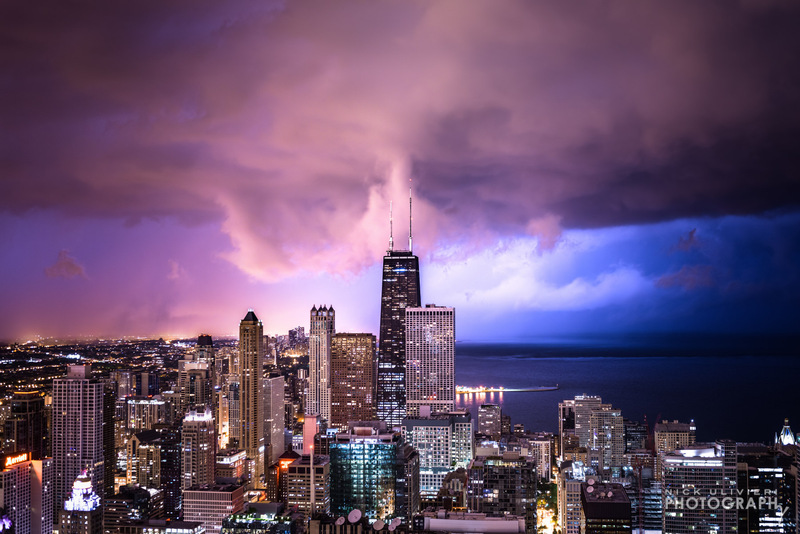 For this cloud-to-cloud lightning shot, I was lucky enough to shoot from a 79th floor balcony in Aqua. I didn’t catch any ‘antenna strikers’ but the back-lit tumultuous clouds were arguably more interesting. MAY: It’s bridge lift season! 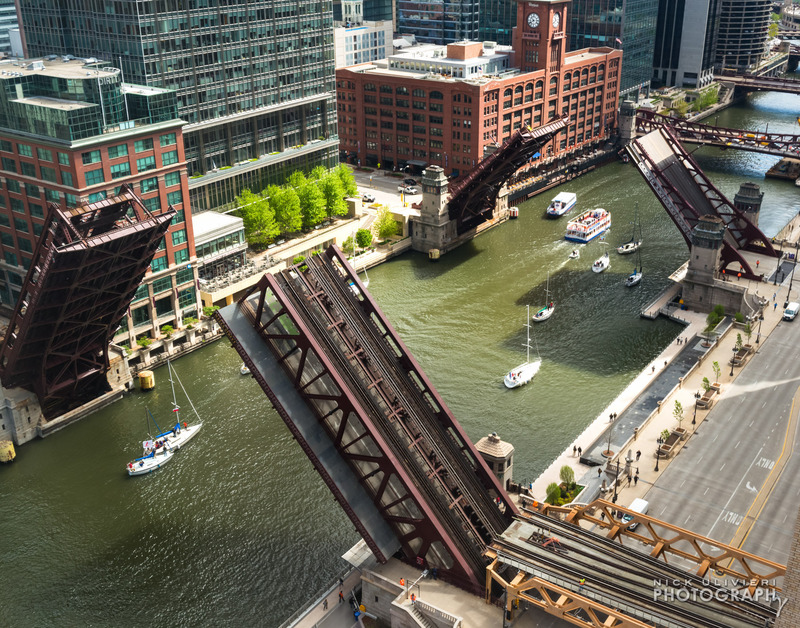 By coincidence, I was shooting interiors for a client along Waacker Drive when the bridges started going up. Right place, right time. JUNE: Sunsets from the lake are magical. 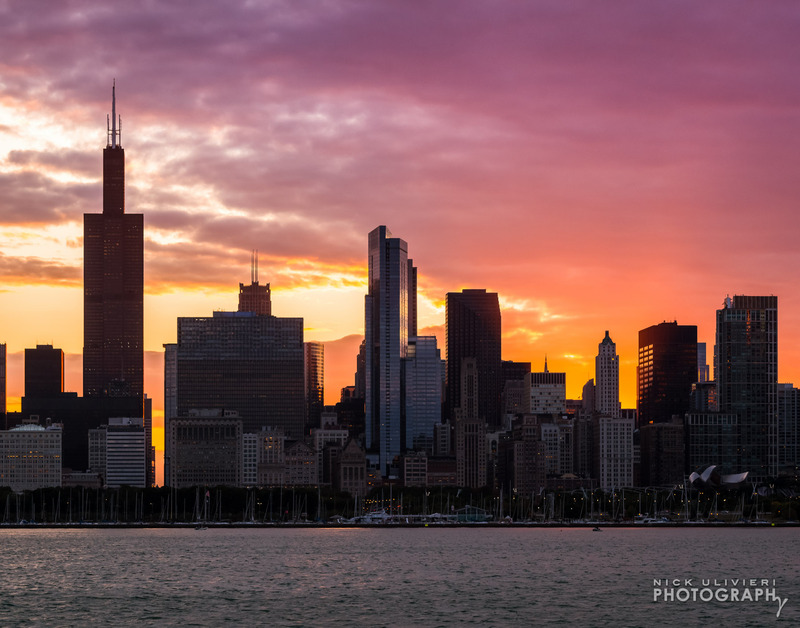 This past summer I teamed up with @Chitecture and Chicago’s First Lady Cruises for a sunset instameet. About 100 area Instagrammers came together to hang out and shoot the sunset. Here’s what cruisers posted to #ChitectureCruise4. 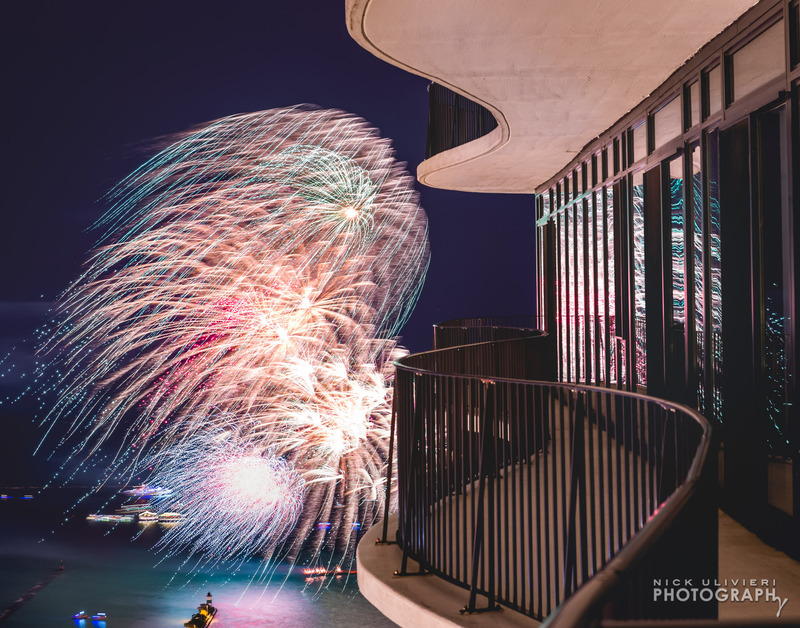 JULY: Fireworks from Aqua. Get it? Fire & water? Anyway, I actually took this shot the same night as the April photo. Quite a lucky photoshoot. Here are more photos form that night. 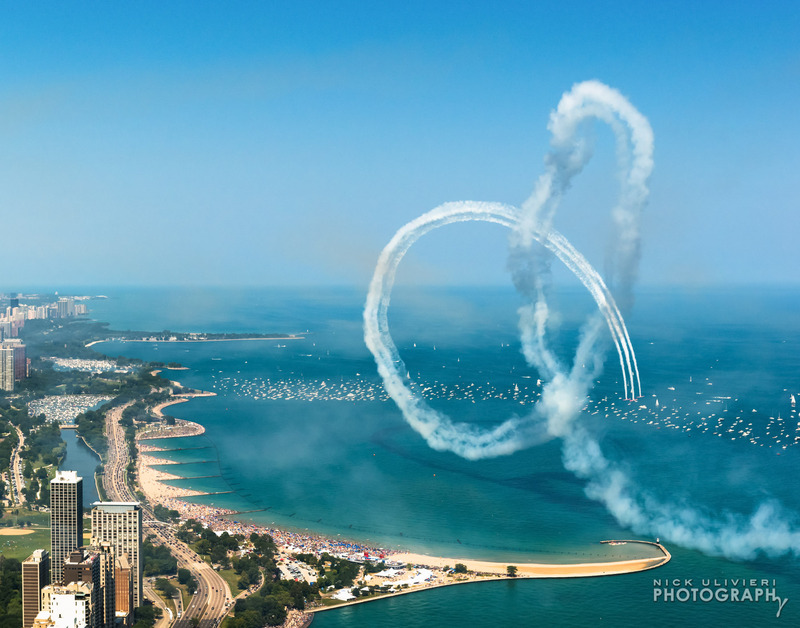 AUGUST: The Chicago Air & Water Show is my favorite event of the year. And if you’re looking to watch from a “skybox suite”, 360 CHICAGO has you covered. Pictured here is Team Aeroshell making a smoke pretzel. SEPTEMBER: I’ve shot #Chicagohenge through the ‘concrete canyon’ a bunch of times, but wanted to try something different during the autumnal equinox. 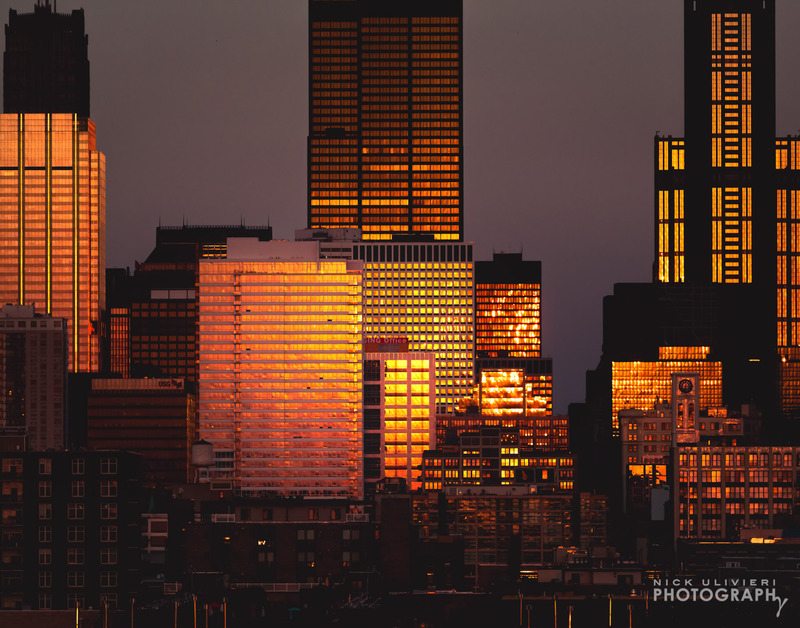 So I shot the skyline with the sun at my back…and with the sun setting due West, the skyline glows like crazy. OCTOBER: When summer and fall weather patterns collide, fun thins happen. 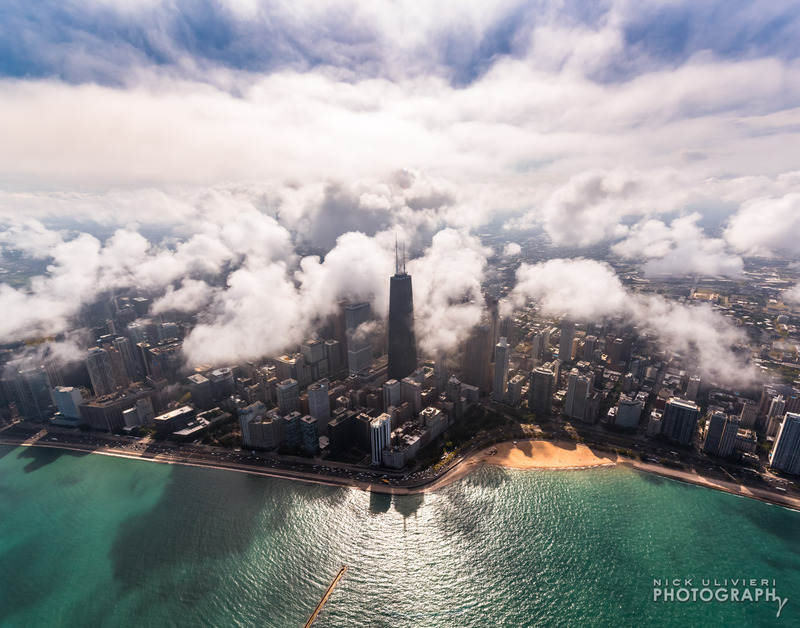 On this Rotorzen helicopter flight, we were able to fly above and below the patch fog that invaded Chicago. NOVEMBER: The colors of autumn weren’t around long in 2017, but once they popped in early November, they were unforgettable. 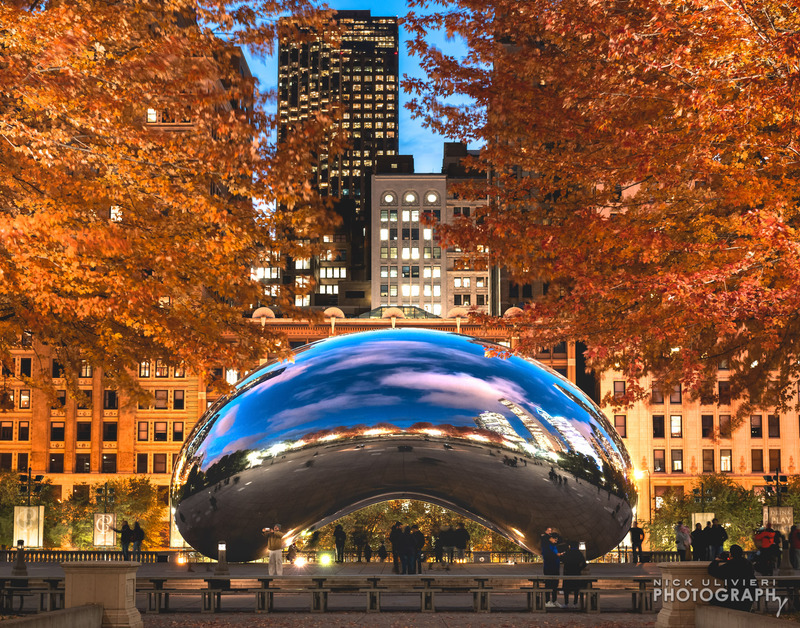 Amy and I spent a few hours in Millennium Park waiting for blue hour to take this shot. Here are more photos from that night. 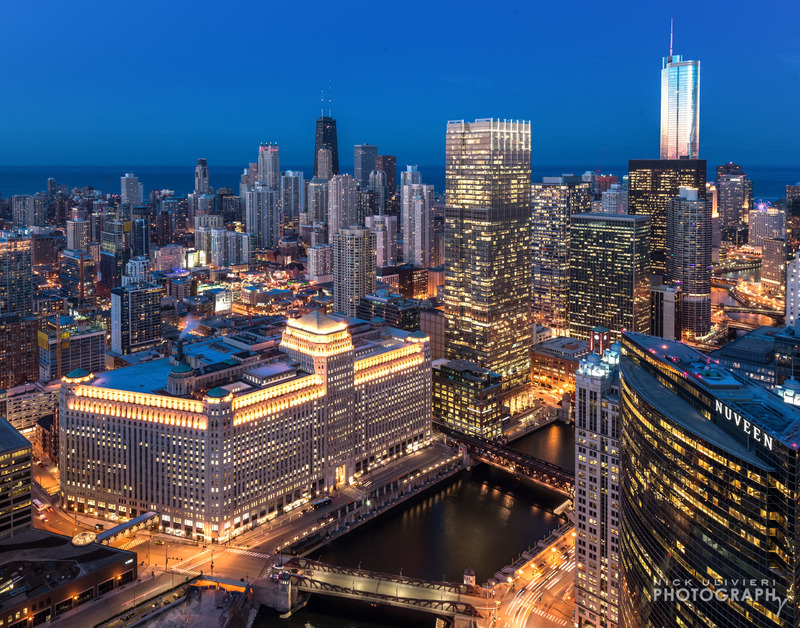 DECEMBER: Closing 2018 with a sweeping view of the skyline from the top of one of Chicago’s new architectural icons, 150 N. Riverside.